Say it with bubbles! 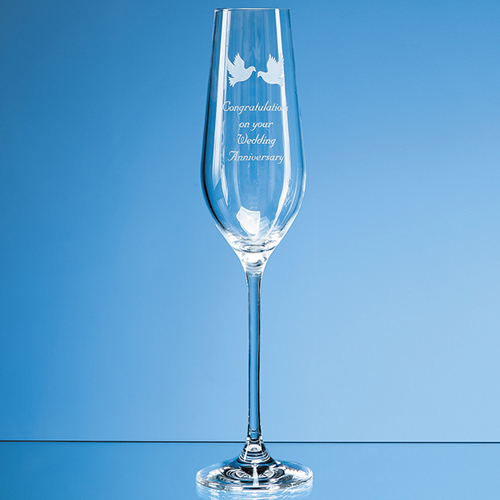 This elegant, sophisticated 230ml Aura crystallite champagne flute is the perfect memento or gift for any occasion whether a work farewell, engagement, wedding, birthday or anniversary. It can be personalised with an engraving of your chosen, inscription, logo, crest or message. Plus, it is packaged in a beautiful presentation box with satin lining.